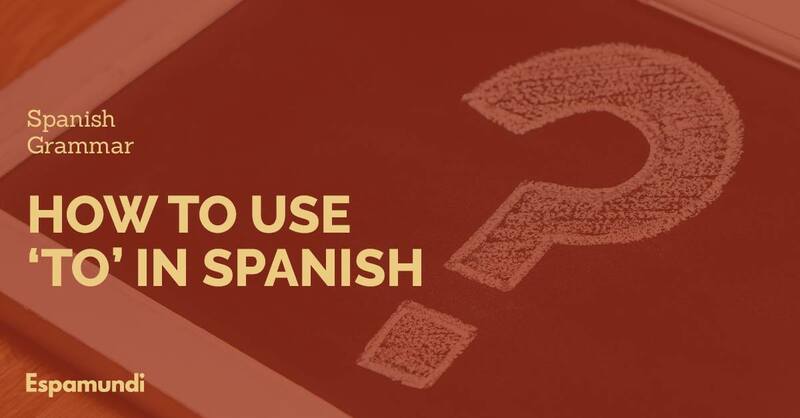 It is very common to think that “TO” is always translated as “A” in Spanish, but it is not true. When we talk about direction or destination. 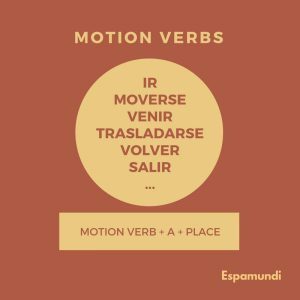 We use motion verbs and then we use “A” and our destination. ¿Puedes moverte del sofá a la silla, por favor? (Could you move from the sofa to the chair, please? Check if we are talking about an action or a place. If it is an action, we don’t use “A”, we will use the verb in the infinitive form. If we have two verbs, the first one will be conjugated and the second one will be in infinitive form.